Have a question on XC60? XC60 is available in 2 different colors - White and Grey Metallic. Watch latest video reviews of Volvo XC60 to know about its interiors, exteriors, performance, mileage and more. Volvo XC60 is a compact luxury crossover produced by the elite Swedish automakers Volvo Car Corporation which was first introduced in 2008. The car is based on Volvo Y20 platform and has been Volvo's best selling automobile since 2009. After tasting a sweet success across different geographies, the car made its debut in UAE in 2012 and ever since then, the car has garnered an overwhelming public response throughout the country, much credit for which goes to its high power and performance, sleek design and advanced safety and infotainment features that makes it a competitive player in the league. With the elegant ergonomics and a large wheelbase, the cabin of XC60 will definitely impress the occupants. The sophisticated electrically heated seats have been provided with side cushions and paddings which enhances the comfort level. The leather wrapped steering wheel, the wooden gear level knob and the exquisite décor inlays adds to the elegance inside. The car has been equipped with several entertainment and infotainment features, the most notable of them being the advanced 7 inch display system which serves as an interface for audio, communication and navigation controls. Several of storage compartments have been ideally positioned and the boot space of the cars measures 523 litres which can further be enhanced with the 40/20/40 rear seat split arrangement. The striking headlights, the futuristic front and the round chrome finished tail pipes are alluring. The aerodynamic side profile with the sporty rear gives the car a sophisticated touch. The broad front grille accompanied by the elegant LED headlights is a masterstroke. The overall dimensions of the car measures 4644 mm X 1891 mm X 1713 mm (L X W X H) and the wheelbase measures 2774 mm that makes enough room for cabin that results in enhanced leg room and head room. Volvo XC60 is a highly dynamic and powerful crossover. The maximum power across three diesel engine variant is 215 hp at 4000 rpm and maximum torque measures 440 Nm between 1500 to 3500 rpm from the 2.4-litre engine. Considering the three petrol engine variants the maximum power measures 304 hp at 5600 rpm and maximum torque measures 440 Nm between 2100 to 4200 rpm coming from the 3.0-litre engine. One can attain 0-100 km/hr in mere 6.9 seconds. 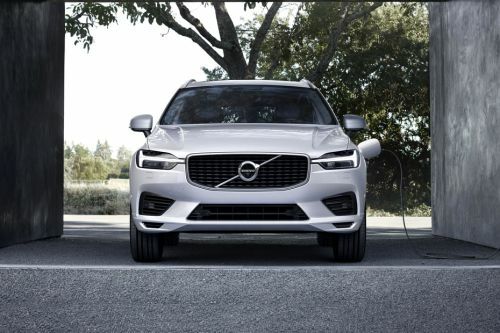 The advanced direct fuel injection system works in harmony with the trademark Volvo turbocharger to deliver high power as well as superior fuel economy. The T5 engine offers a mileage of 14.9 kmpl as opposed to 13.7 kmpl offered by T6 engine. Volvo is very vigilant about the safety of the passengers and have equipped the car with various safety features like dual stage airbags for driver and passengers, Anti-submarining protection, Side Impact Protection System and Whiplash Protection System which ensure maximum safety of the riders. The braking system consists of ventilated disc brakes that are further coupled with Anti- Lock Braking System (ABS), Electronic Brake Force Distribution System (EBD) and Brake Assist to proivde effective braking system. The Electronic Power Steering works dedicatedly with suspension system that consists McPherson Strut in front and Multi Link coil spring in rear that helps in hassle free handling of the car in an effective manner. The Air bag system (front, side and curtain), Side Impact Protection System, Whiplash Protection System and dirver infotainment system immediately alarms the driver in case of intense steering, braking and acceleration. Volvo XC60 is a competent crossover due to the unmatched power, comfort and driving experience it offers to the customers. This efficiency further helps the company in enhancing the market share in UAE. What is the price of Volvo XC60? On road prices of Volvo XC60 in starts from AED220,500 for base variant 2.0T T5 Momentum, while the top spec variant 2.0T T6 Inscription Highline costs at AED308,700 . What are the colors options available in Volvo XC60?